Planning to invite family members or friends over this festive season and still unsure as to what to cook? 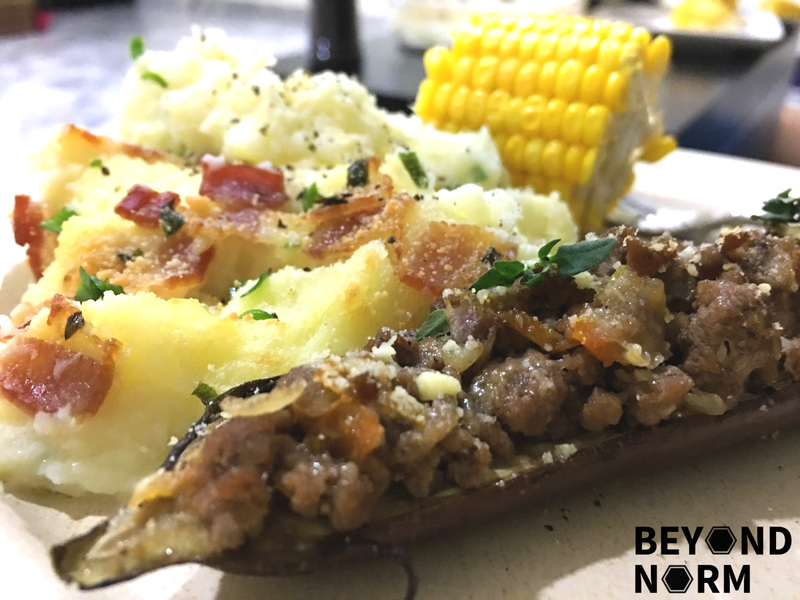 Stuffed Aubergines with Spiced Minced Meat is a quick fix but still an elegant dish. You literally do not need to be a cooking expert to cook this dish. I just used the spices which I had available in my kitchen to make it. You can add herbs such as thyme, parsley, or oregano, or even chilli flakes to increase the intensity of the flavour. 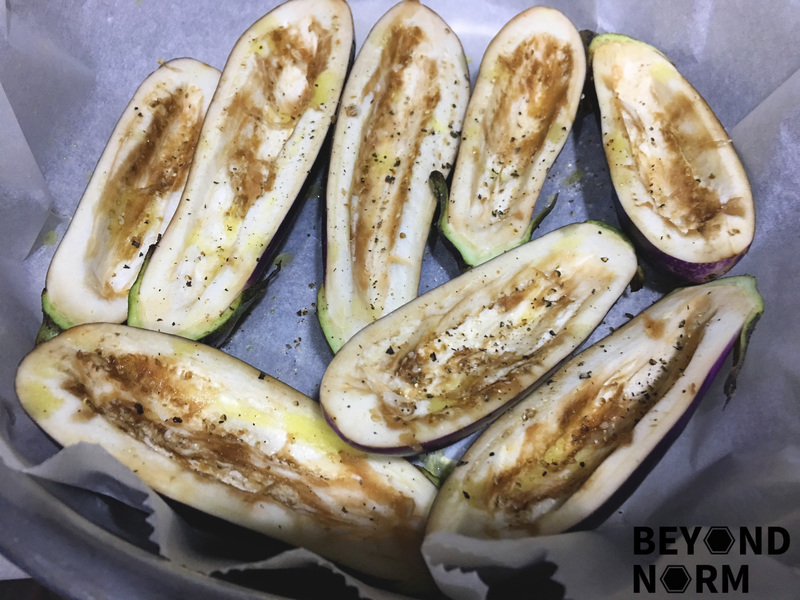 If you can get hold of the Italian Eggplants, it will be great for this dish, as they are larger and fatter, and the flesh tends to be more tender. Otherwise, like myself, I used the small aubergines which I found in the market and they were great as well. Hope you enjoy this dish as much as we did! Cut the aubergines in half lengthwise. Cut out most of the flesh with a small sharp knife and leave about ½ cm to 1 cm border. Roughly chop the aubergine flesh and set aside. Line a shallow oven tray with baking paper. Place aubergine (skin-side) on the tray, drizzle with a little olive oil and place in the oven. Cook until soft, about 30 minutes. Heat up one tablespoon of oil in a frying pan. 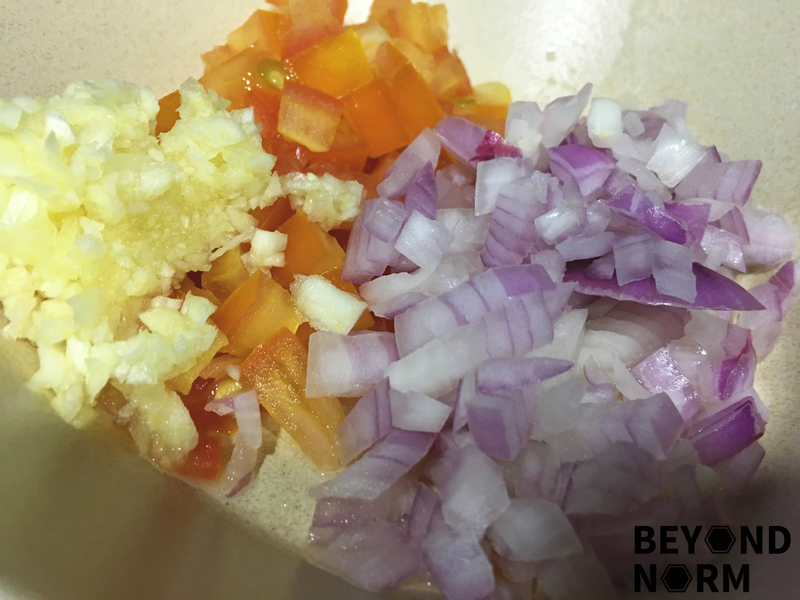 Add in the garlic and onions and fry till soft. Add in the chopped aubergine flesh and cook till soft. Add in the cumin and cook till aromatic. Next, add in the minced meat. When almost cooked, stir in the chopped tomatoes and let it simmer gently for 5 to 10 minutes. Add in the salt and pepper to taste. Remove the baked aubergines skins from the oven. Then spoon minced mixture onto the skins. Top with the parmesan and return to the oven for 10 minutes or till hot and golden on top.